AT6000 breath alcohol tester is kind of tester designed to measure concentration result of the breathed alcohol in the human body. 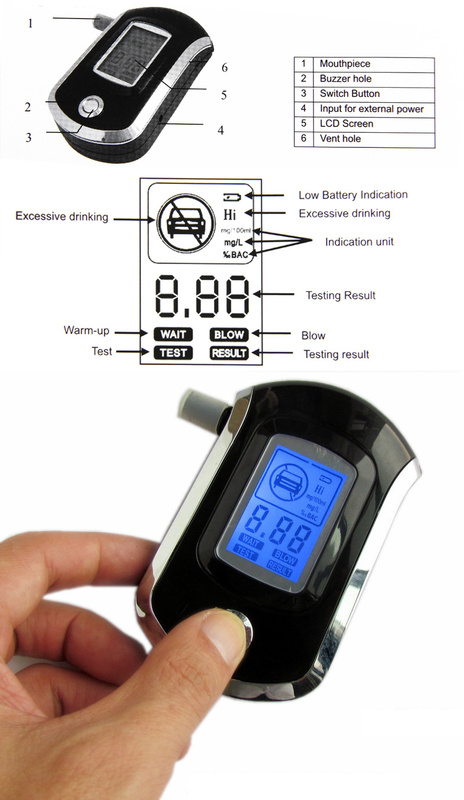 The device adopts advanced flat surfaced alcohol sensor which has excellent sensitivity and reproducibility, fashionable and portable design makes it more convenient for personal use. When the alcohol content exceeds the preset limited level, this device would send an audio and video warning to remind your safety.